Kings General Manager Dean Lombardi used nine minutes to answer the first question asked of him during today’s post season recap. So, to say there is a lot of content to go through would be an understatement. Overall, Lombardi was, as he always is – introspective, detailed, mindful of things he’s said in the past, consistent with the script he’s been following and most of all, honest. He tells you what’s on his mind without completely tipping his hand. Well, maybe a little. Let’s just dive right into it because there is plenty to cover from today’s meetings with Lombardi and coach Terry Murray. 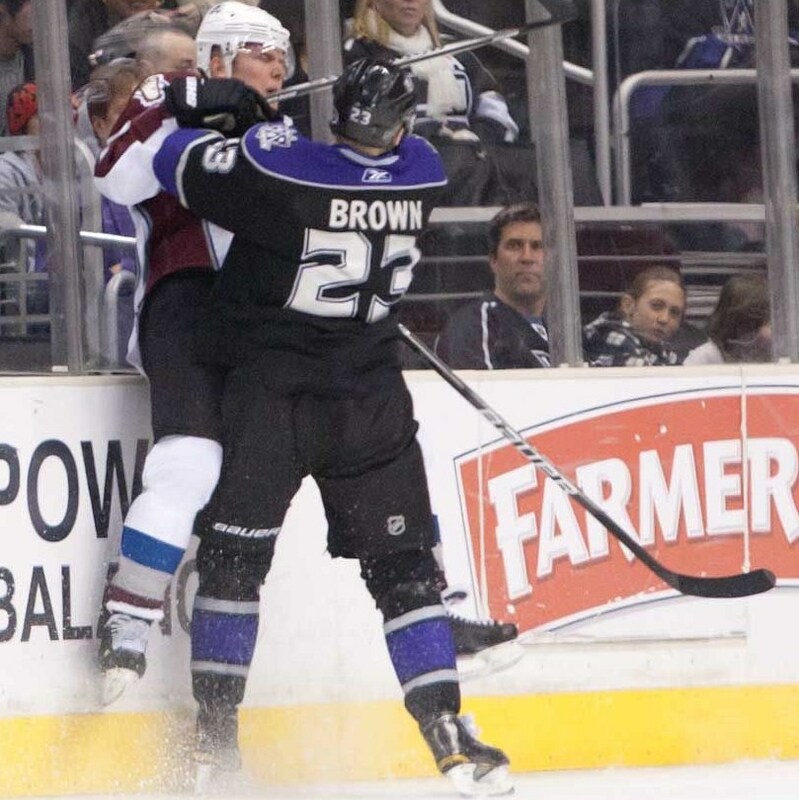 MM: Did you get what you needed this year from Dustin Brown as the captain? DL: I don’t only look at him, I look at the whole group to be honest with you. I think they grew, but I think they’re still learning. And I think they have to step back – ultimately, the way you learn is how you deal with failure. Again, I’ll get a sense of that too as I go through some of (the exit interviews with) these players. I think collectively, as a group, that’s still evolving – just like their talents. I’m OK with it. But, I think it has to be better. It’s not good enough for where we need to go. But, I look at that intangible as no different than evaluation a player’s skating getting better or his decision making getting better. One of the things he’s looking for the leadership group to do this summer is to continue pushing the entire team to be in better shape. Lombardi felt that Anze Kopitar took a step forward in that area this season and he wants to see more from Drew Doughty and Dustin Penner – topics we’ll get into in more detail later today.